As most people who frequent the Student Center’s lower level food court are aware, Panda Express will be replacing Burger Bytes this fall. Located just next to Taco Bell, Burger Bytes was a typical fast food restaurant, offering a variety of burgers, wings, and sides. 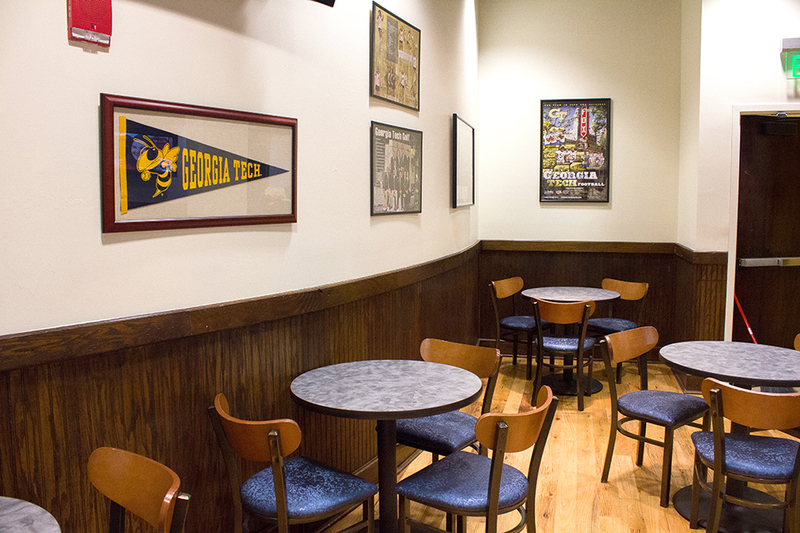 Despite widespread praise for its wings, Burger Bytes has been closed due to lack of student demand and will soon be replaced by Panda Express. Opinions on this new development ranged from disappointed and indifferent to euphoric. Though criticisms and observations on Burger Bytes varied, there was an overwhelming consensus among students that Burger Bytes was just was not a good fit for the Student Center. Some students attributed Burger Byte’s downfall to a variety of factors. “It was good, but very overpriced, and the price did not match the quality. The presentation was sub-par, but the fact that it was a sit down place was nice; it was comfortable. And the employees were nice,” said Michole Washington, a third-year. Some students were adverse to Burger Bytes for its inconvenience and service. “It wasn’t too bad. But I’ve heard things like how crappy the service and the food was, but it never really phased me since I never had time to sit down and eat there,” Jessica Huynh, a third-year, said. Some individuals had a slightly worse experience at the burger restaurant. Others were thrown off by the cost of Burger Bytes. Students hope that Panda Express’s food will be worth the cost, unlike the food at Burger Bytes. “I only went there [Burger Bytes] once. It wasn’t so awful that I remember the food, but it cost more than it was worth,” April Gadsby, a third-year, said. Some of the students who disliked Burger Bytes were also disappointed with the general selection of dining options at the Student Center, and they, ultimately, expressed interest in healthier dining options. “I wasn’t a fan; it was greasy and overpriced. Personally I’d prefer if it were replaced by a healthier option. I feel like Panda Express is better than Burger Bytes, but it’s still not that great of an option,” said Phoebe Tait, a third-year. “There should be a healthier option than having just Taco Bell, Chick-Fil-A, and Pizza Hut; there is not really a great variety,” Washington commented. The majority of the students, however, were excited about the renovation, and they were not shy about expressing it. Katie Nolan, a first year, enthused, “Very excited. Very, very excited,” as she proceeded to rave about Panda Express’s delicious lo mein. Ultimately, most students seem enthusiastic about the new Panda Express addition in the Student Center. Burger Bytes will sadly not be missed by most Tech students.